Read Mark O’Rowe and Aisling O’Sullivan on The Approach in The Irish Examiner. “You want to be dealing with subjects important to you … where we stand morally, what it is to be empathetic’ (Mark O’Rowe). READ Irish Mail on Sunday with Cathy Belton Sunday January 21, 2018 Cathy Belton on Red Rock and The Approach. Read full interview here. READ Sunday Independent interview with Cathy Belton Sunday, January 14, 2018 Cathy Belton speaks to the Sunday Independent about her career and The Approach by Mark O’Rowe. Read the full interview here. 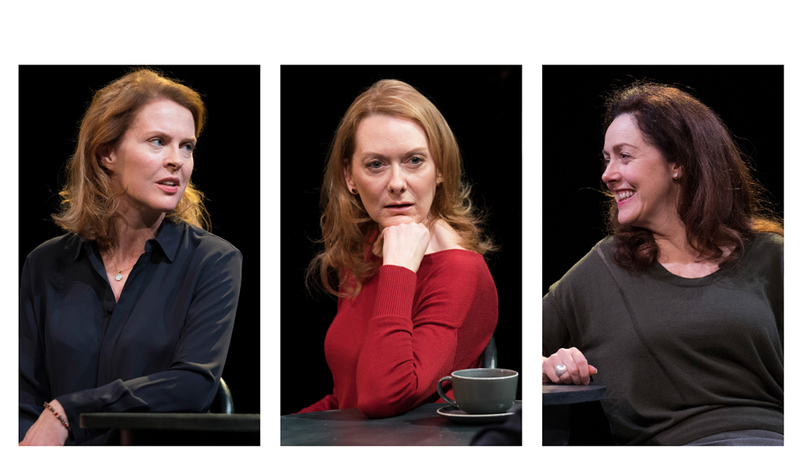 LISTEN to RTÉ Radio 1 Arena Monday, January 15, 2018 Mark O’Rowe, Cathy Belton, Derbhle Crotty and Aisling O’Sullivan speak to Kay Sheehy on RTÉ Radio 1 Arena ahead of opening The Approach at Project Arts Centre. Listen here, beginning at 23mins.